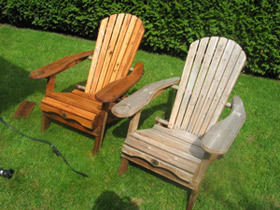 Worried About Using Toxic Chlorine Bleach Or TSP To Clean And Brighten Your Cedar Products? Feel great about using a cleaner that contains no bleach nor does it require bleach to be added. Get fantastic results using only natural wood brighteners! Perfect for your wood deck, cedar shakes, wood siding, log home, boat teak, barn board or any natural wood surface! This hydrogen peroxide-based formulation with natural wood brighteners continues to receive compliment after compliment. The alternative has always been chlorine bleach or TSP but the problem with those cleaners is that they leave the wood surface with a very unnatural bleached look, and rarely comes out uniformly clean, with a “blotchy” look that looks as if a bucket of bleach was thrown on the house. Our Oxy All Wood Wash does not contain bleach nor does it require bleach to be added. Oxy All Wood Wash comes in a powdered form that when mixed with water creates millions of tiny little bubbles. These bubbles loosen all mold and fungus that may be attached to the wood surfaces. Our advantage is the natural adhesive, that we added, to keep the product on vertical or steep pitched surfaces long enough to clean before running off. A light brushing with a scrub brush and a hose powered rinse is all that is needed to clean up your cedar shakes or shingle and save them from rotting away. Pressure washing cedar shakes or shingles or decking planks without prior treatment can actually make your situation worse. Direct pressure can embed mold spores into the wood and if you are applying a stain or sealant the mold will quickly come back through. 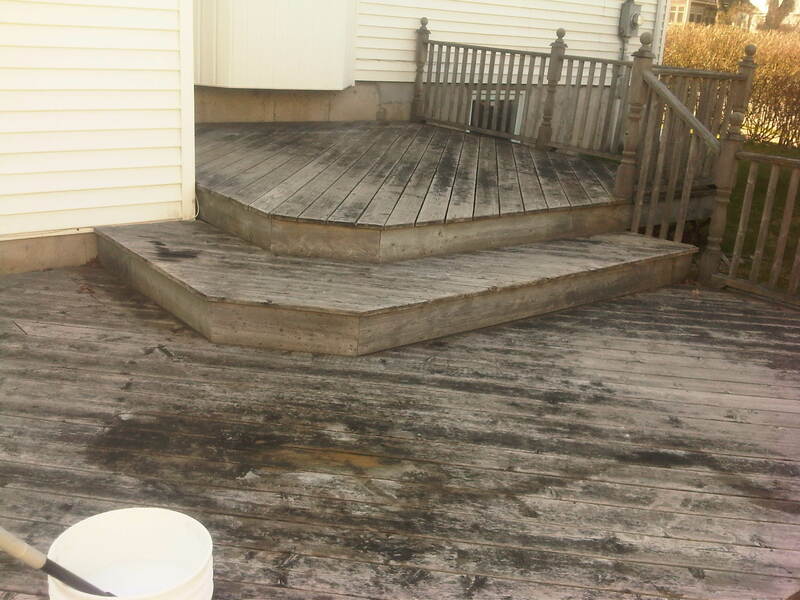 High-pressure power washing is not advised as when the pressure hits the surface, it only spreads the mold around the whole area, but damages the wood surface if the mold is treated first with Oxy All Wood Wash, then pressure washed very lightly, (1000 psi or less), the cleaning process is accelerated, and will not spread the mold nor damage or scar the wood and immediately brings the wood back to its original beauty. 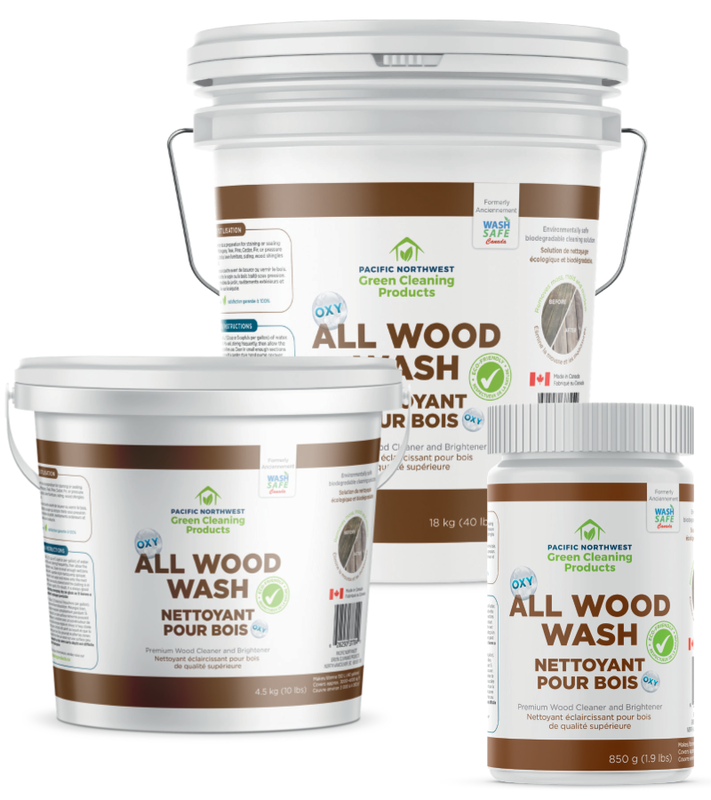 Use as a cleaner or as a preparation for staining or sealing wood. 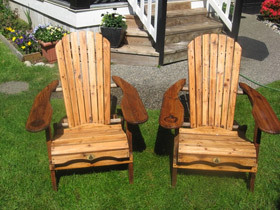 Works on Mahogany, Teak, Pine, Cedar, Fir, or pressure treated wood. 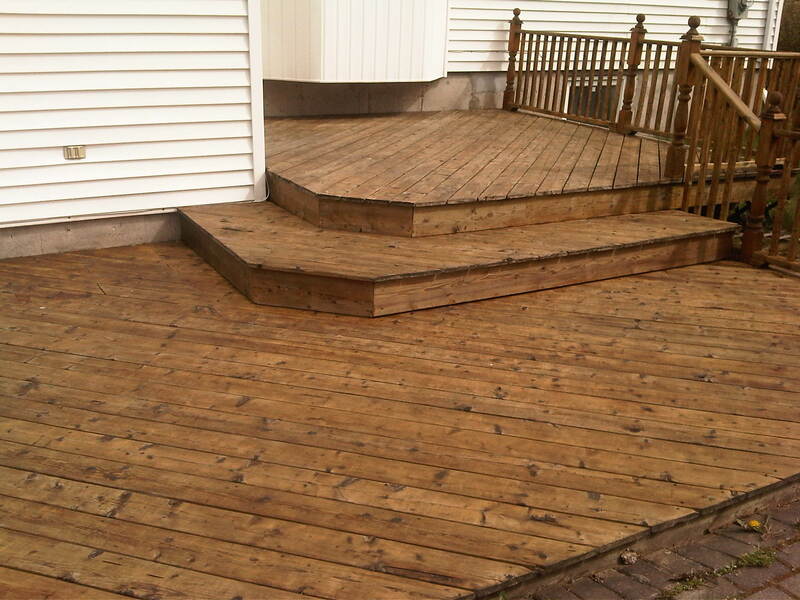 Great on decks, fences, docks, lawn furniture, siding, wood shingles and shakes. section. Note that if the wood is painted or previously stained and the coating is in poor shape, Oxy All Wood Wash may lift worn spots. If in doubt, it is always good to test in an inconspicuous spot. Avoid letting overspray dry on glass as it leaves a difficult to clean residue. 850 g will clean 60 0 –90 0 sq. ft.
4.5 kg will clean 3,0 0 0 –4,0 0 0 sq. ft.
18 kg will clean 12,0 0 0 –16,0 0 0 sq. ft.
Hi there, your Oxy All Wood Wash product is amazing and I cannot wait to send before and after pics, I am still mind-blowing on how well it works. 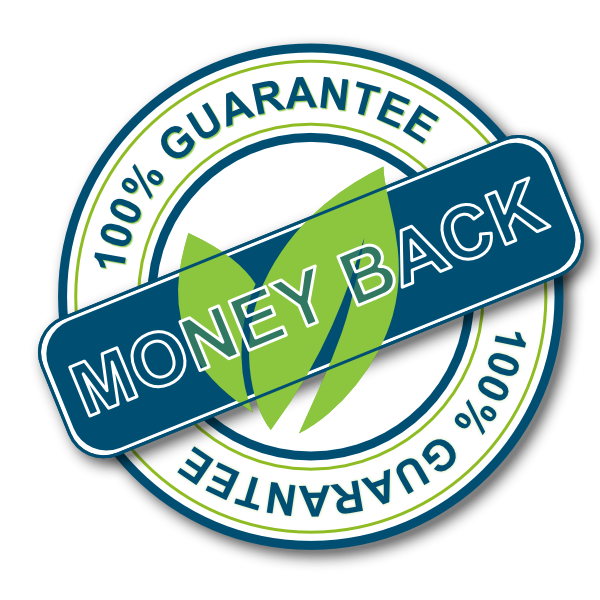 I will be recommending your product to everyone I know – it’s truly a great product. I ordered another 4.5kg (10lb) pail the other day just to be on the safe side of things. 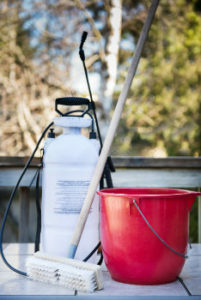 Unlike chlorine bleach and TSP the Oxy All Wood Wash will not harm the vegetation around the house. It is safe for people, pets and plants, and rapidly biodegrades into simple water and oxygen in about 5 hours. So safe for vegetation we were even able to do the cleaning on the lawn…!! 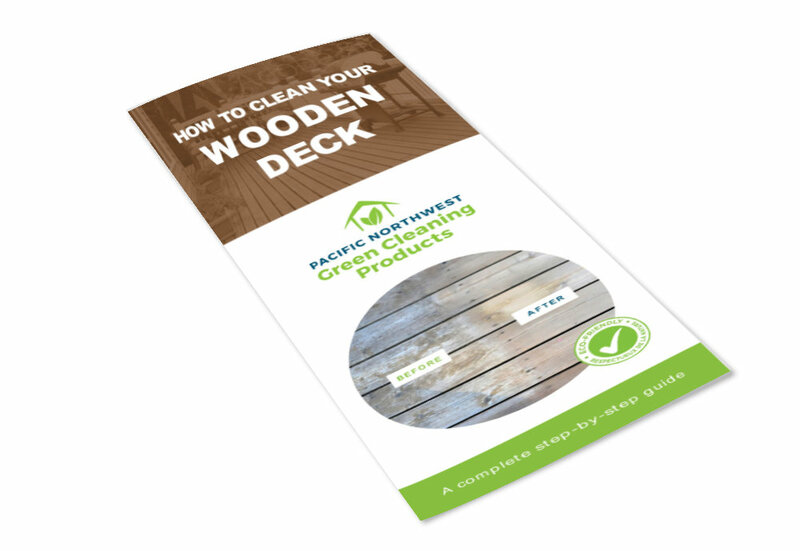 To download A complete step by step guide for cleaning and maintaining your composite deck guide, click on the links below.